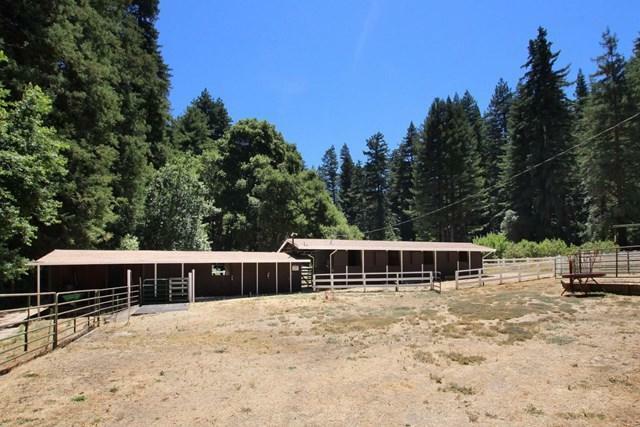 This majestic property has it all. 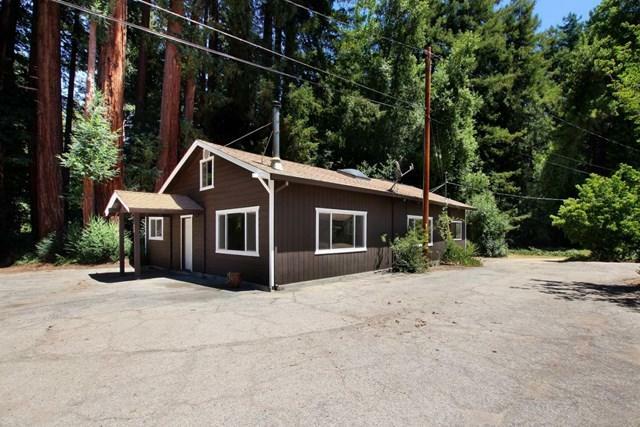 The spacious and well cared for main house of 2300 square feet has 4 bedrooms, 2.5 bathrooms, and old ranch charm with modern upgrades. A large guest house has just been completely refurbished and has a large great room and 2 suites. 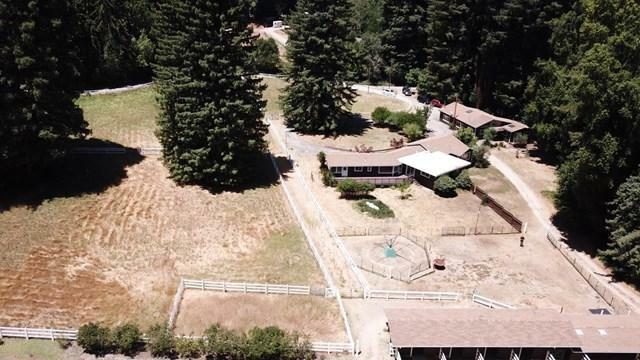 Flat and sunny, this property has pastures, stables, corrals, a giant redwood fairy ring, gardens, and much more! 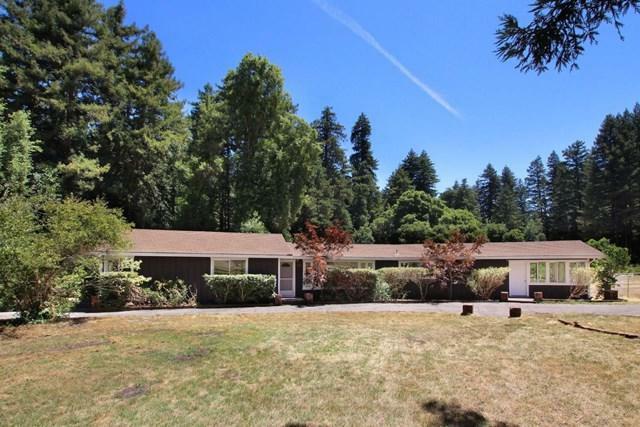 Both full sunshine and towering redwoods share this incredible space in the Santa Cruz Mountains. On a country lane that feels a world apart from the bustling California economy, this property is a quick and easy commute to Silicon Valley and only minutes to picturesque downtown Boulder Creek.